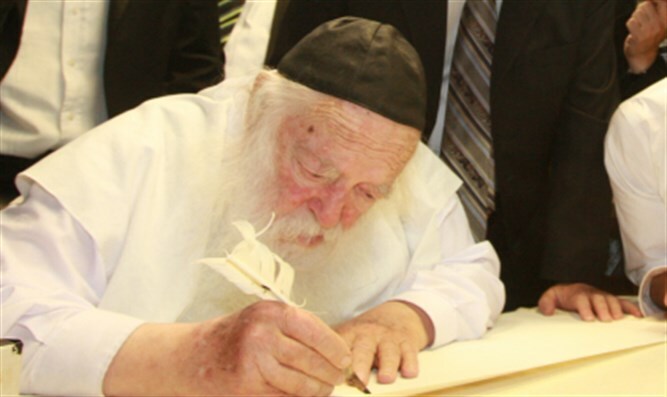 Paper publishes ruling by Rabbi Kanievsky, advising bride-to-be to cancel wedding with young man over non-kosher cell phone. A statement attributed to Rabbi Haim Kanievsky, one of the leading rabbinic figures in the haredi world, was recently published, calling upon a bride-to-be to cancel her planned marriage after it was learned her fiancé owned a non-kosher cellular device. According to a report Tuesday morning in the Kikar HaShabbat website, Rabbi Kanievsky explained his decision, saying that a person within the haredi community who ignored the directives not to possess such a device would not raise children devoted to the faith. Rabbi Kanievsky has been at the forefront of efforts within the haredi community to ban cellular devices with internet and text message capability, as well as unfiltered internet connections. Phones without those capabilities and which can be used for calls only are known as "kosher phones." Last week it was announced that visitors carrying non-kosher cellular phones were barred from entering the rabbi’s home, with a sign warning visitors not to bring such devices onto the premises.